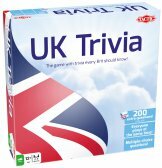 The renewed Country Trivia game contains entertaining multiple choice questions, which provide plenty of useful and interesting trivia. 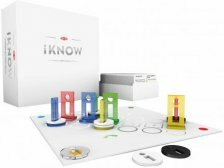 An ingenious board game that combines knowledge with clever tactics, iKNOW has it all- it brings together the excitement of trivia games and the thrill of strategy. Guess the correct answer and also score points for guessing who else might know it! 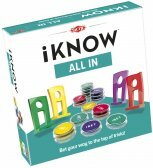 Familiar iKNOW mechanics with multiple-choice answers - everyone can play at the same time. 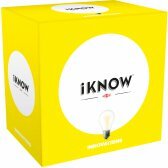 Win points by answering the question correctly on the level of your choice and earn more by guessing the other players´ success. 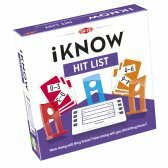 Name as many of the items on the Hit List as you can and score points! Correctly guess how many the other players will score to gain bonus points.